The airfield main gate opposite the Station Headquarters, now known as the Old Rectory. The tree with the ‘Give Jerry Hell’ sign is still there, although trimmed down. The parachute store, one of the few remaining buildings at Hunsdon. 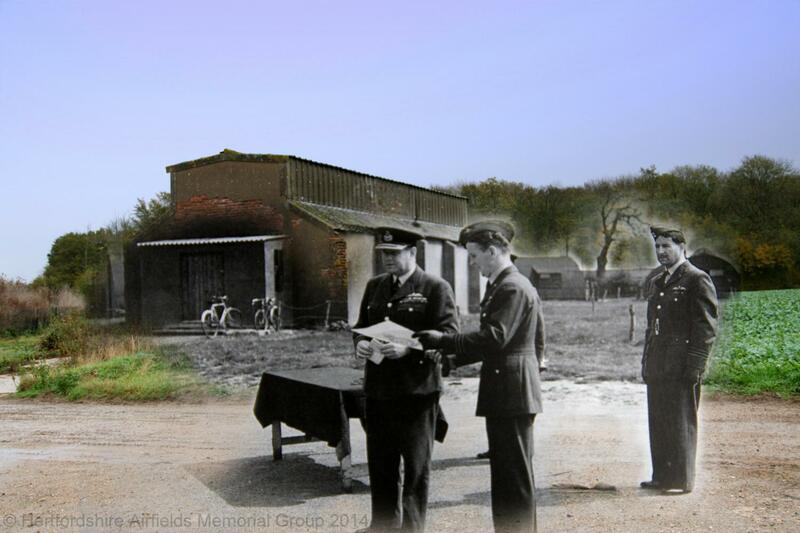 The front porch has now gone, along with the airmens bicycles.
. On the 5th May 1943 the AOC of 11 Group, AVM H W ‘Dingbat’ Saunders, presented the 85 Squadron crest to W/Cdr John ‘Cats Eyes’ Cunningham while Station Commander W/Cdr H M Kerr looked on. 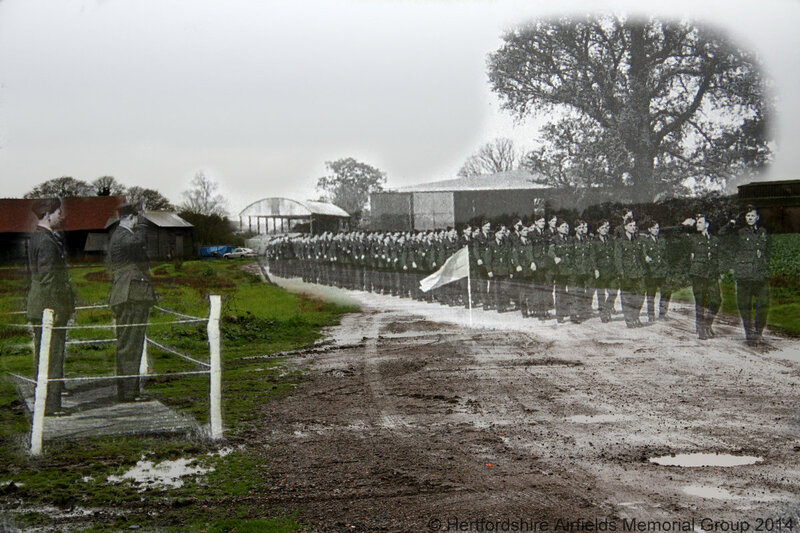 85 Squadron march past 1943. The hangar, trees and airmen are long gone. The parachute store can be seen on the right of the picture. 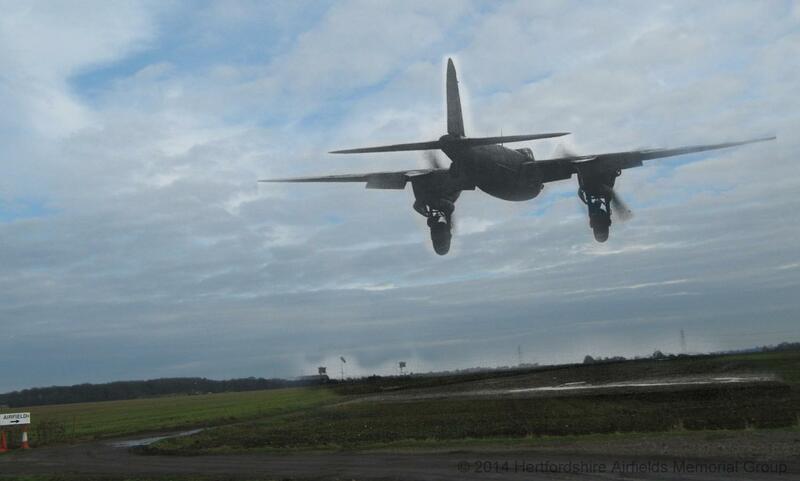 29 Squadron Mosquito landing at Hunsdon 1944. The 150′ wide runway has now been reduced to about 10′.